The YMCA down a block and across the street from my house hosts a popular turkey chase race every Thanksgiving morning. Parking is a big challenge and my neighborhood’s 1940s-built streets are choked with cars by 7 a.m.
A few years ago, the pastor of our church, which is three blocks from the Y, started inviting the Boy Scouts to help manage parking in the large parish lot on race day. It should be a win-win: Every car is charged an even amount, order is maintained, the private lot that used to be chained off that day is available to runners, and the money helps fund the troop’s campouts, equipment, merit badge class supplies, and lots more throughout the year. Win-win, as it turns out, is relative. 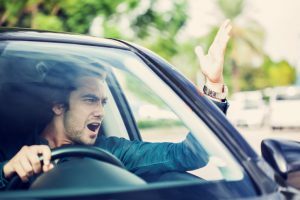 Reasonable-looking adult people throw tantrums right in their driver’s seats, accusing the boys of everything from greed to behavior unbecoming church-goers to outright extortion. There’s lobbying, too. “I don’t have any cash” and big puppy-dog eyes are deployed to try and score free parking. But this year, the boys are ahead of it. With three Square readers and an equal number of smartphones, they will be delighted to take plastic for parking spaces, embracing multiple payment methods, deflating the no-cash argument, and joining the ranks of modern parking professionals everywhere. I’m so proud of them. It’s just too bad there’s no Boy Scout parking badge.